Madalyn and Chris are two high school sweethearts ready to start their life together. The newly engaged couple graced us not only with shooting their wedding next fall but we also had a great time making some memories with them on their engagement session shot on film. We began the day at City Park taking advantage of the beautiful warm light that peaks through the spanish moss at that perfect time of day. Their friend duke (their puppy) came along for the shoot. 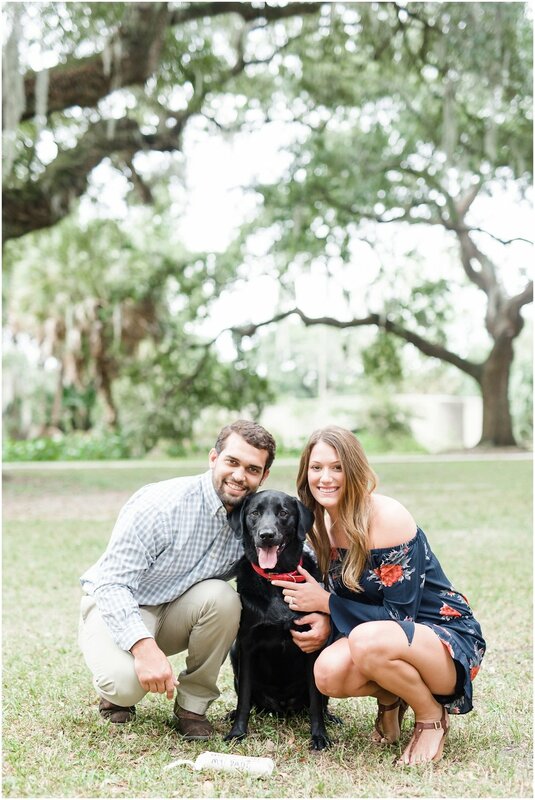 Duke was a key member of the proposal so it was a-pro-po that he make and appearance at the engagement session as well. We then headed over to the lakefront for some sunset photos on the rocky shores of lake pontchartrain. We can’t wait for the wedding day!